We know that skimping on sleep gives many of us heavy eyes and sends us on an early afternoon run for a large coffee (or, for those with an iron stomach who don't mind ingesting 8,300 percent of our daily value of vitamin B12, an energy drink). But studies out this week outline possibly dire health consequences for depriving ourselves of lengthy slumber. A small study In the Journal of Clinical Endocrinology and Metabolism says that even a single of night of sleep deprivation can cause the body to show signs of insulin resistance, a warning sign of diabetes. And in the journal Sleep, a long-term study by a different team chillingly suggests that continuously snoozing less than six hours per night can increase your risk for an early death. First, the insulin study: Esther Donga and colleagues examined nine patients, first after the patients had slept a full eight hours and then again after they'd slept just four. 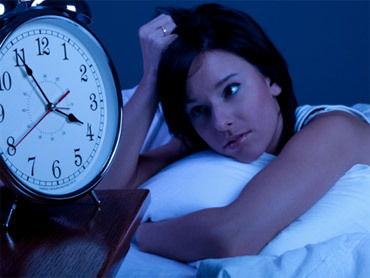 The scientists say that insulin sensitivity was reduced by as much as 25 percent when the patients were sleep deprived. Overeating typically takes the rap for contributing to the ballooning number of people with diabetes. But the scientists speculate that if their findings on insulin resistance in this small subset of people can be extrapolated to most people, then perhaps another unhealthy aspect of this modern life-sleeping too little-could contribute as well. And then the second study, which deals with early death: British and Italian researchers compiled 16 studies done all over the world in the course of a quarter-century to see if there was a discernible connection between sleeping too little and the risk of dying too soon. They studies they looked at surveyed people about their sleep habits and then tracked when they met their bitter end. In all, more than 1,300,000 people were part of this meta-study. Some researchers outside the study, though, wondered whether sleep was truly the factor causing early death. Professor Jim Horne, of the Loughborough Sleep Research Centre, said other factors may be involved rather than sleep per se. "Sleep is just a litmus paper to physical and mental health. Sleep is affected by many diseases and conditions, including depression," he said. Indeed, the researchers involved with the study concluded the same thing might be at work with their other finding-that not only will too little sleep raise your risk for early death, too much sleep will also up the risk. But, they say, that "too much"-more than 9 hours-might just be a symptom of something else that's already wrong.